How do I apply coupon codes to a course? Learn how to get your CEUs at a discount! Continuing education takes time and money, and you want to get it over quickly and without breaking the bank. One way your CE providers might help you with this is by offering coupons. When you take a course that has a price, you will at some point of time have to pay for it. Some courses ask you to pay up-front, others after completing the course, but either way, the "Confirm Purchase" pop-up you see will be the same. 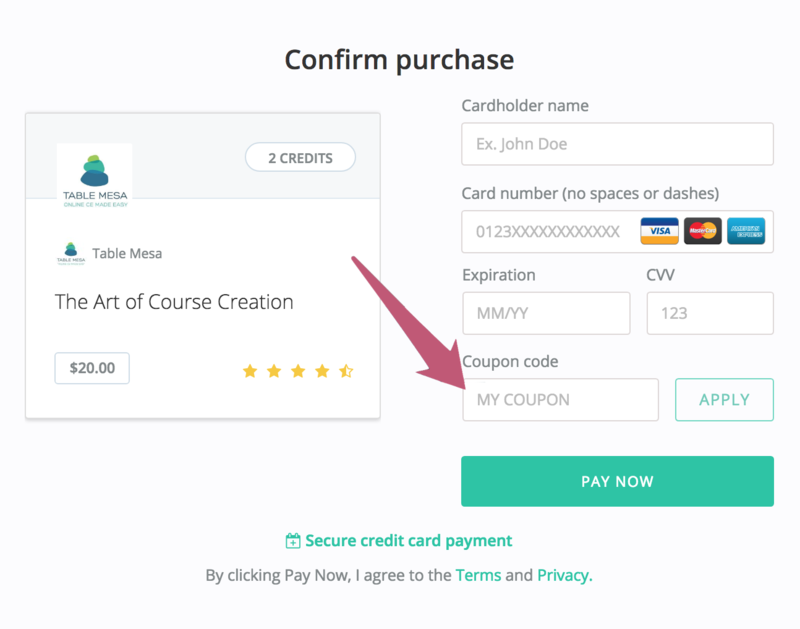 On the pop-up, along with all the other payment details you'll need to include, there is a space for a Coupon code. Double-check the code when you type it in, because it needs to be the exact coupon code name for it to work. Then hit Apply. 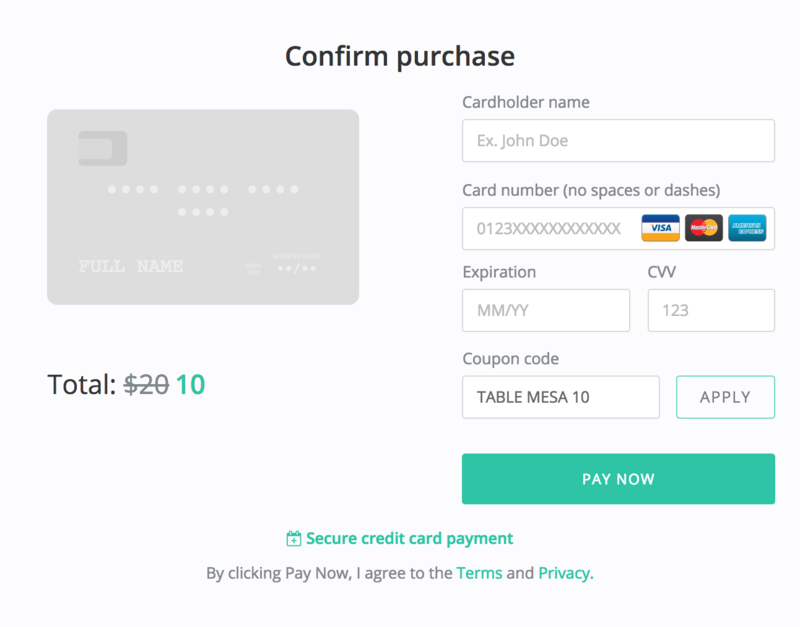 Once you hit Apply, the image will change to that of a credit card instead of the course card. Underneath it, you will see a strikethrough of the normal price, and the new price in green. Now you just need to complete the purchase as you normally would, and the amount you pay will be the new, discounted price.